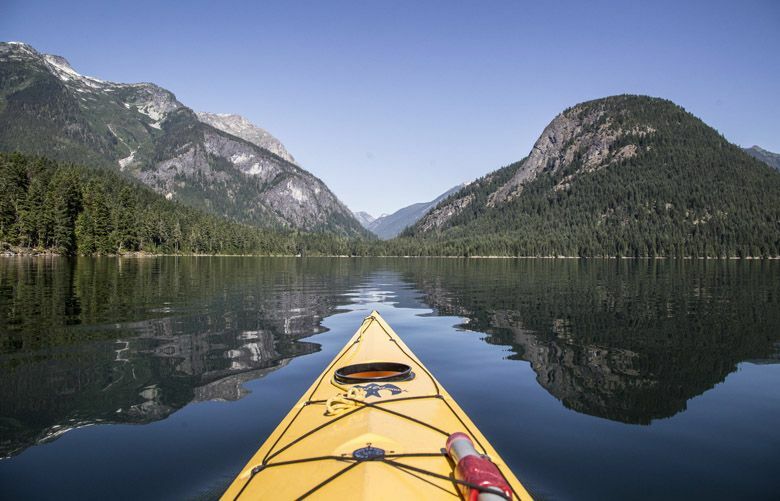 The National Park Service commemorates its 100th anniversary as University of Washington students and their instructor head into the backcountry to consider the meaning of the wild in a changing world. 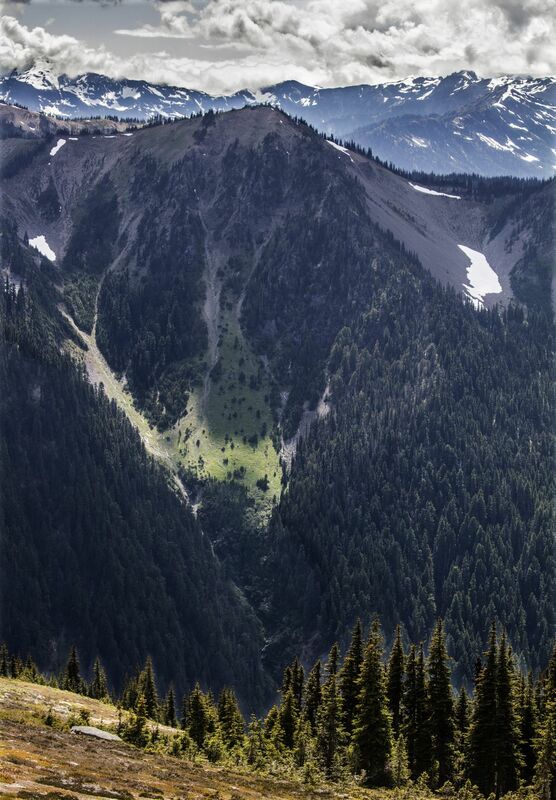 GRAND PASS, Olympic National Park — First came the sound of hiking poles scritch-scratching on rocks. Then, distant laughter. And suddenly, they emerged out of the fog, coming straight uphill. 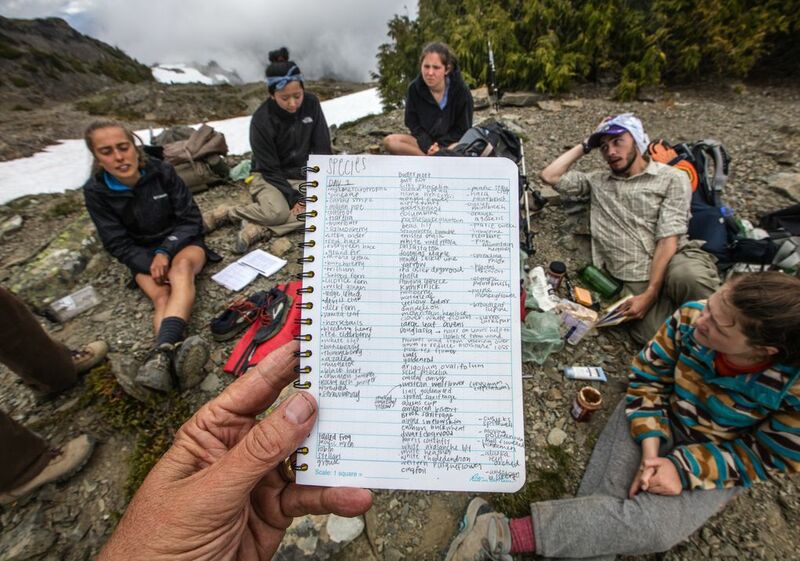 Finally at the top of this more than 6,000-foot-high pass, 10 University of Washington students — eight women and two men — jubilantly flopped on the rocky scree and ripped into their packs, scavenging lunch. “Oh, you have to peel the rind off this,” said their instructor, Tim Billo, giving a salami in his hand a second look — but not for long. “It doesn’t matter to me at this point,” he said, sinking his teeth into the fatty meat. This was, after all, their eighth of nine days backpacking some 45 miles from Deer Park to Obstruction Point, with side trips along the way. 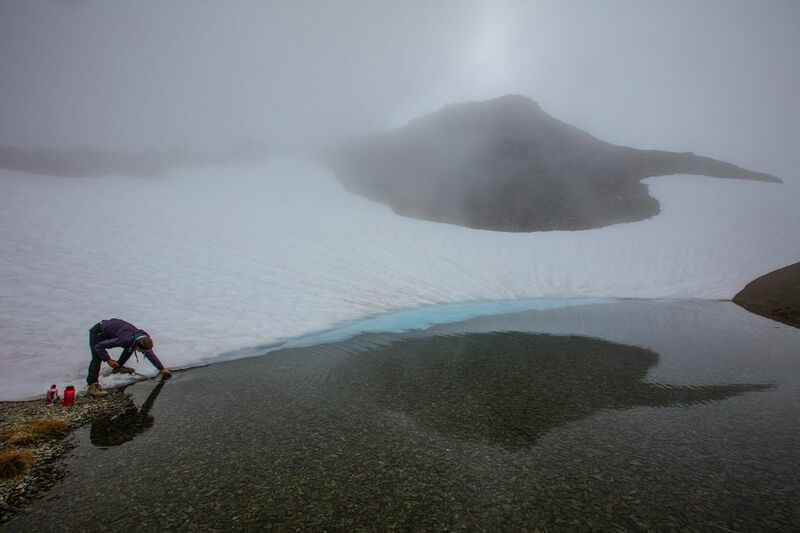 They negotiated ice and snow fields with ice axes, endured rain, cold nights and climbing 16,636 feet of elevation (with lots of up and down, for a net gain of 730 feet). Along the way, these students learned something no book can teach: just how strong they really are. They reflected, too, as the National Park Service commemorates its 100th anniversary, on the meaning of the wild in a rapidly changing world. 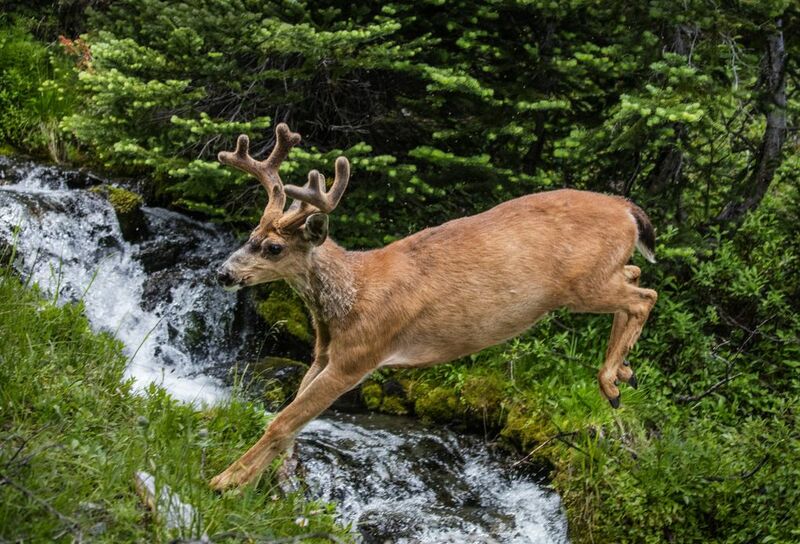 The park service’s challenges heading into a second century also include managing record use at more than 307 million visits last year, and likely even more this year, even as the agency struggles with a more than $12 billion backlog in maintenance needs across 84 million acres. The agency also needs to keep up with the times, to serve a more urban, diverse nation. Half the U.S. population lived in cities when the park service was founded; today more than 80 percent do. And while about 36 percent of the population are people of color, the park-service staff is more than 80 percent white. Recent visitors also are disproportionately white, and millennials are less likely than previous generations to value spending time outdoors. Today, rangers are offering Pokémon Go interpretive talks, and the agency is waging a privately funded Madison Avenue-styled marketing campaign — Find Your Park — to sell the parks to millennials. 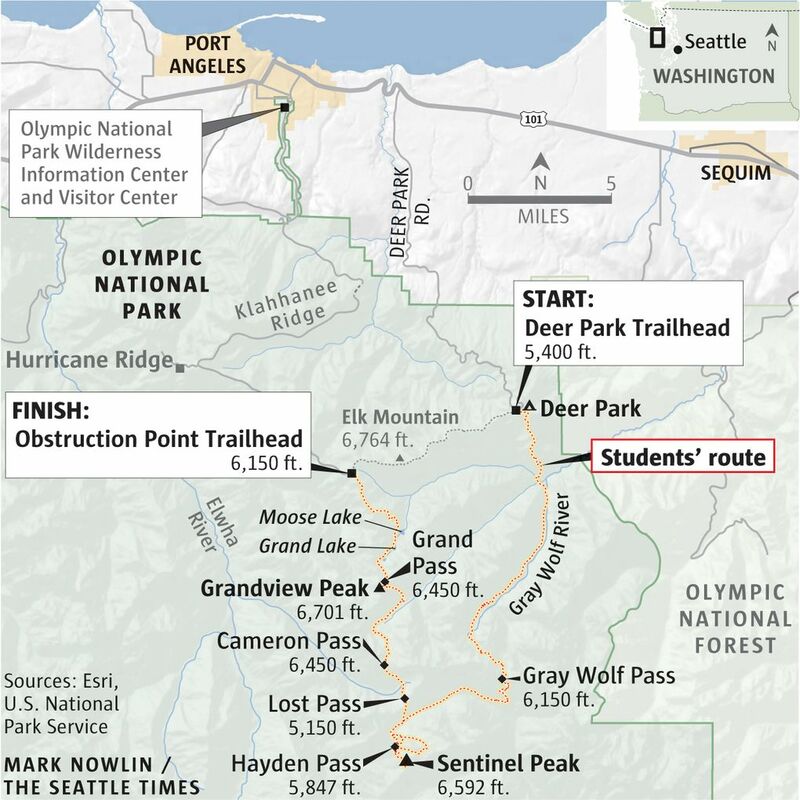 The students on the recent backcountry trek in the Olympics needed no sales pitch. To them, the park offered a reconnection to humility in a noisy, grandiose age. 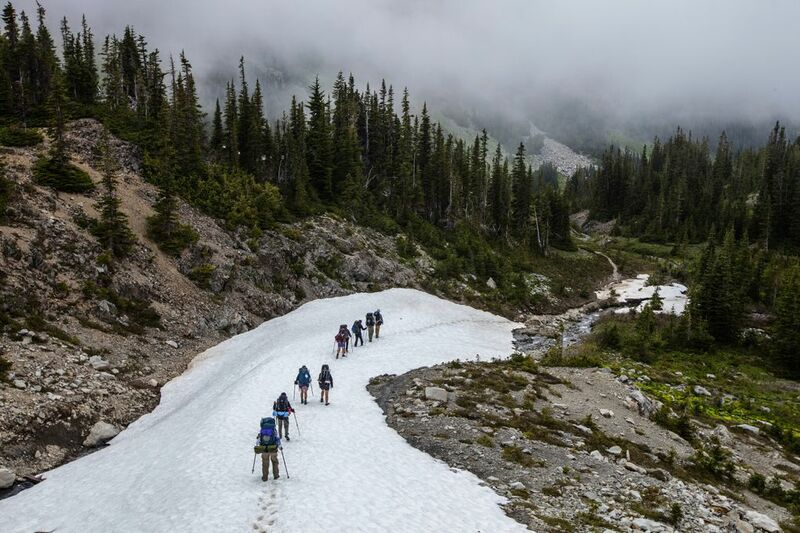 Amid blisters under blisters, scratches, bug bites galore, footsore miles and at least one sun-roasted ear, the students carrying 40- to 60-pound packs said they earned the joy of the mountains, and of accomplishment. Nature was a patient teacher, allowing them to see they could do more than they thought. “We’d be climbing mountains in snow, using ice axes, and I would just look at my steps, and have a steady breath, and a good attitude,” said Kelly Bounxayavong, 21, of Everett. Day after day, the trail wound through sweeps of mountains and ridges, the valleys and cirques with no roads, clear cuts, houses or sound except the whistling of marmots or streams threading down from high peaks. 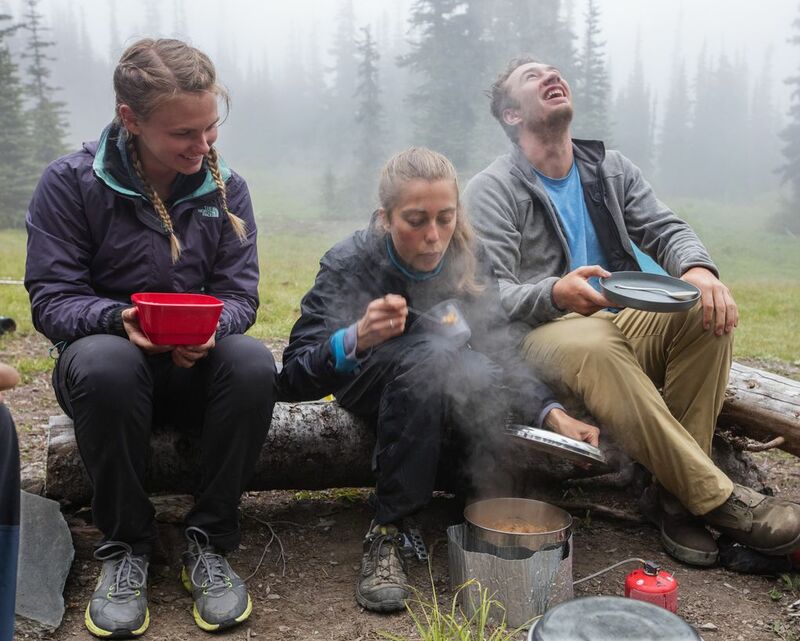 Theirs was an old-school adventure, with aluminum cooking pots swinging from their packs, two students to a rental tent, and nine days’ worth of food at $50 each: Mostly, that’s a whole lot of rice, beans and pasta. A jar of peanut or almond butter each. Crackers. Cheddar. Oatmeal. Iodine pills for the water. The luxuries were fresh garlic, butter, salami and chocolate. 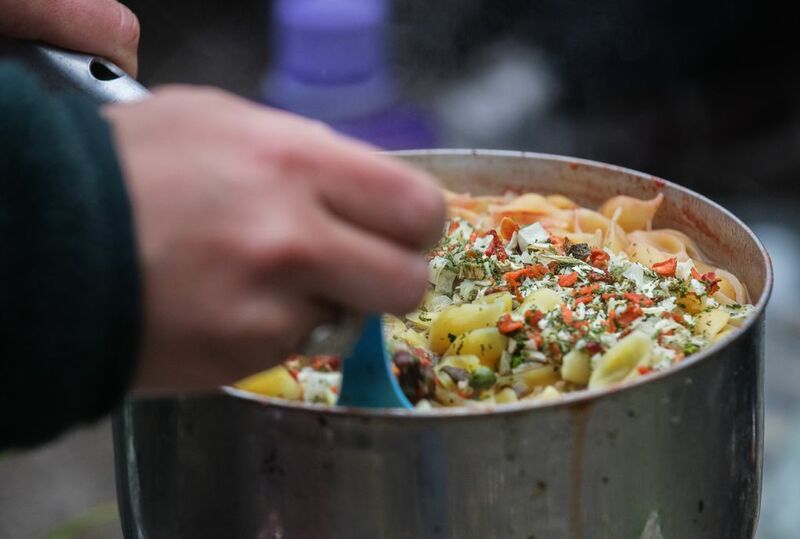 No fancy freeze-dried meals; the students scratch-cooked, and were so hungry they made two dinners a night. Wild-foraged treats included wild ginger and onions to spice up dinner, stinging nettles for a vitamin C boost, and fir tips for tea. They hiked off-trail to appreciate the toughness of it. Spent an afternoon in solo reflection, each choosing a tree for a companion, and hiking alone for a time, to experience the difference from their group treks. 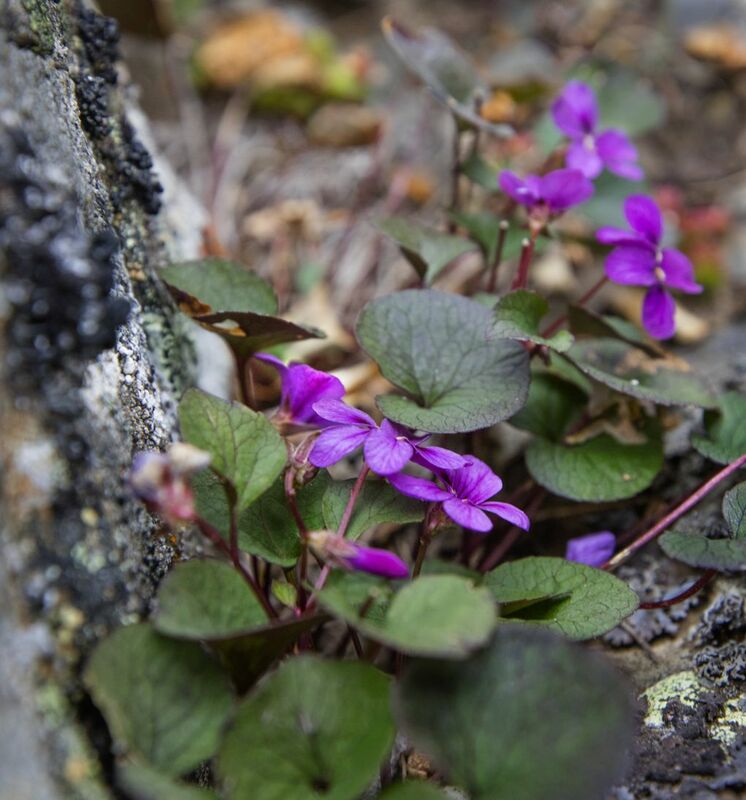 They scrambled up a narrow, rocky path to the 6,701-foot-high top of Grandview Peak. From there, they looked out at a landscape changing fast in their lifetime. This was the fourth time Billo has taught this class in landscape change in the Pacific Northwest, in the Environmental Studies Program at the University of Washington. For him, wilderness itself is the best instructor. He packed a photo of the Lillian Glacier, replete with ice in 1905. Yet there it was today, just below them as they stood on Grandview Peak, shrunk to just a remnant. No classroom lecture could have been as vivid. Doing just five or so miles a day, they often took time to study and savor their outdoor classroom, practicing old-style natural history. 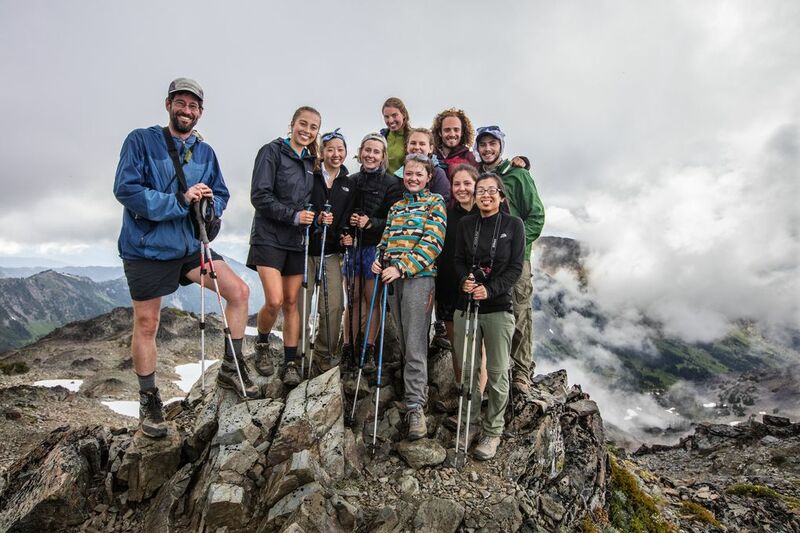 Exploring the meaning of the wild: As the National Park Service commemorates its 100th anniversary this summer, University of Washington students took a nearly 50-mile backpack trip into Olympic National Park to explore the meaning of the wild in a changing world. Packing a mobile library of field guides and natural-history texts, they logged more than 14 species of trees, 27 birds, three mammals, two frogs and 112 plants and flowers, several unique to the Olympics. 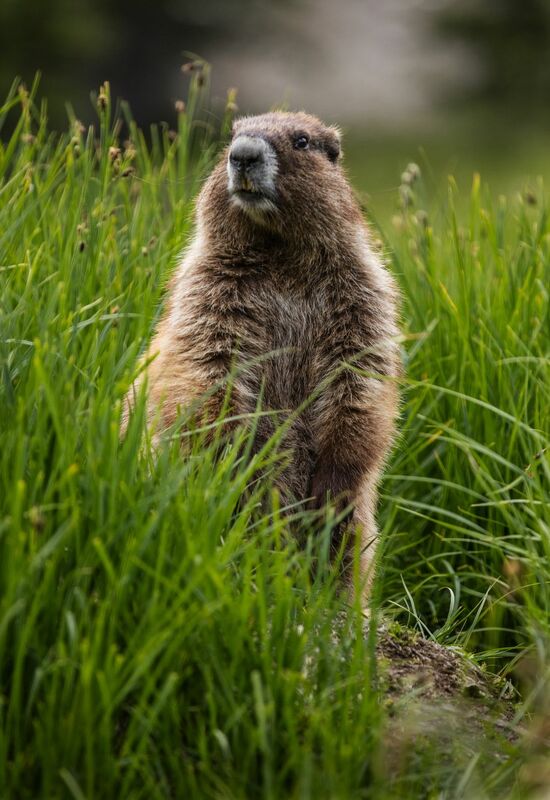 For Minji Jung, 22, of Seattle, the wild was not only a place to learn, but also to forget a rat race of stress she is already feeling at her tender age. “This has really shifted my mindset,” said Jung. This was her last class before graduation, and to her, a good, bracing send off. “Get dirty. Get beat up a little bit. Live life like we are supposed to,” Jung said.